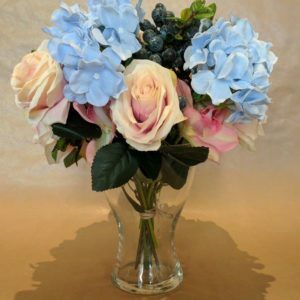 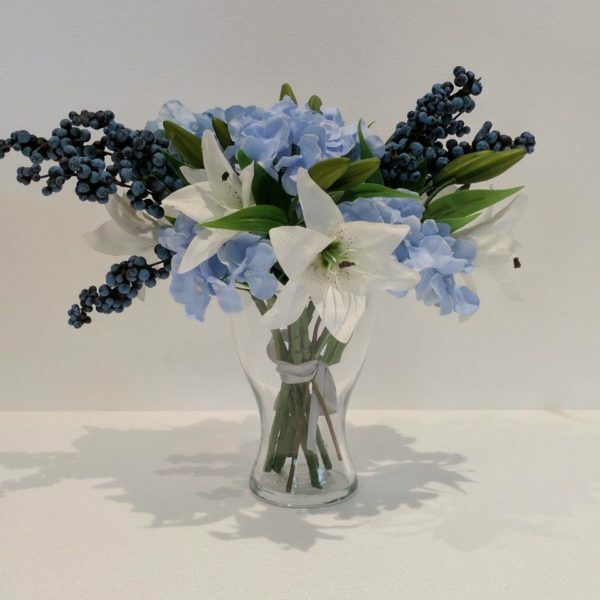 Beautiful Artificial Flower Arrangement including Silk Hydrangea, PU Real Touch Lilies and Blueberry Bunches displayed in Glass Vase. 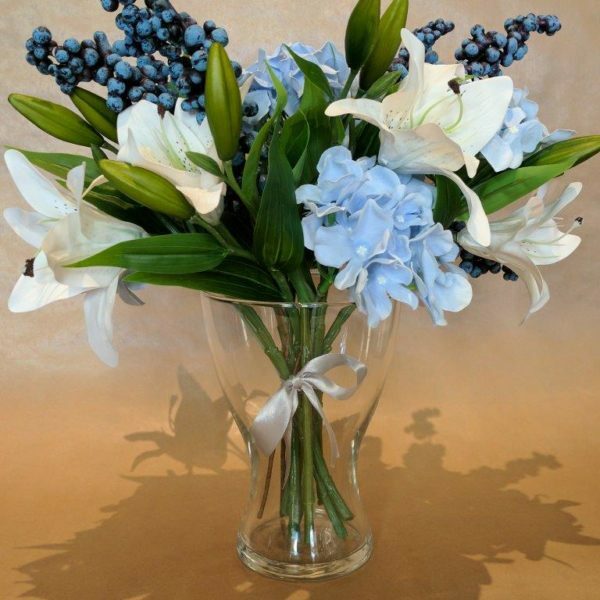 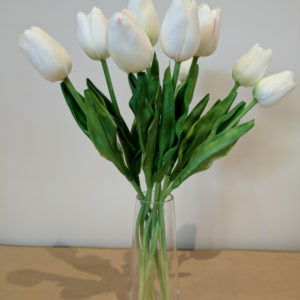 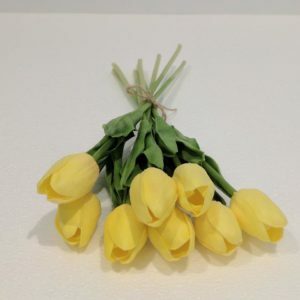 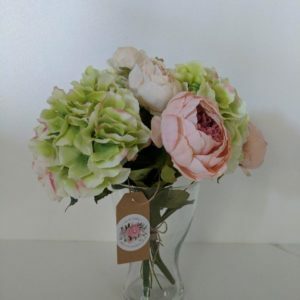 This stunning bouquet makes a bright and calm centerpiece. 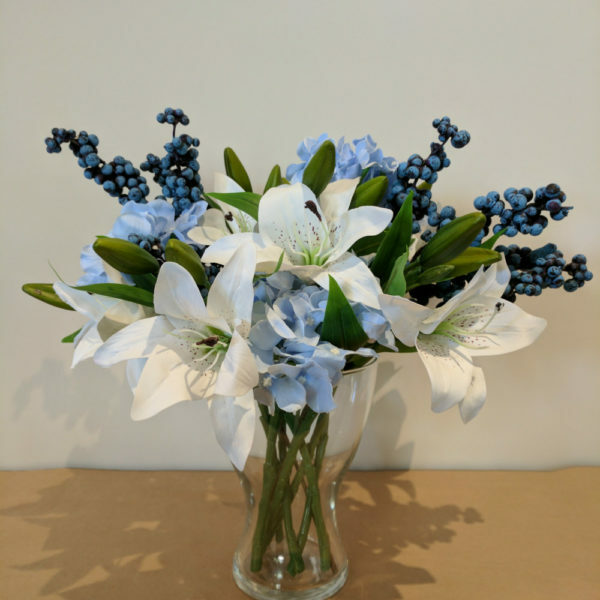 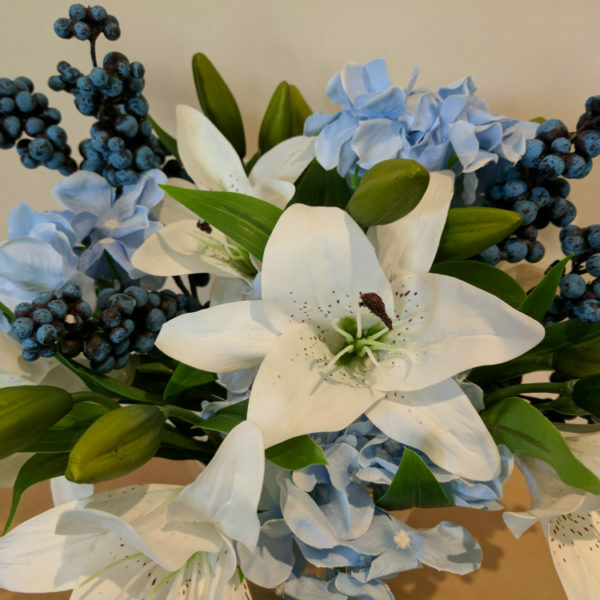 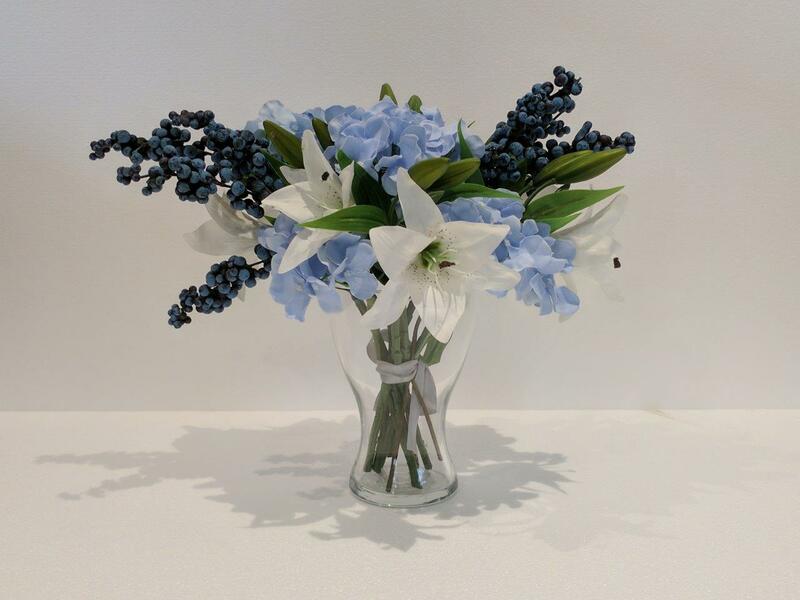 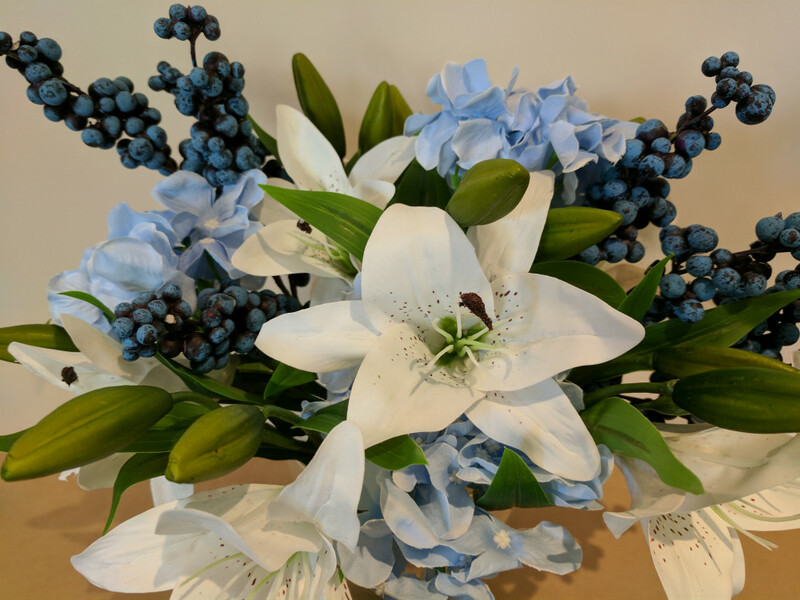 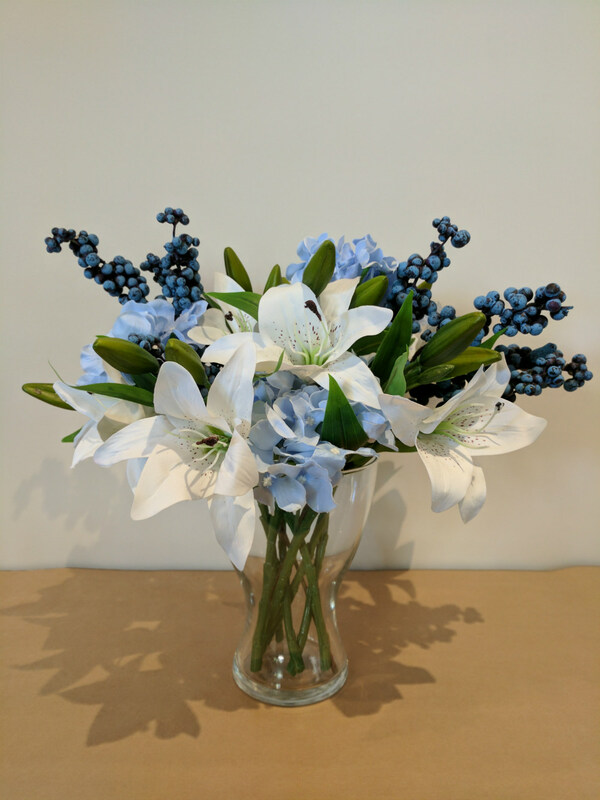 Beautiful Artificial Flower Bouquet including Silk Hydrangea, PU Real Touch Lilies and Blueberry Bunches displayed in Glass Vase. 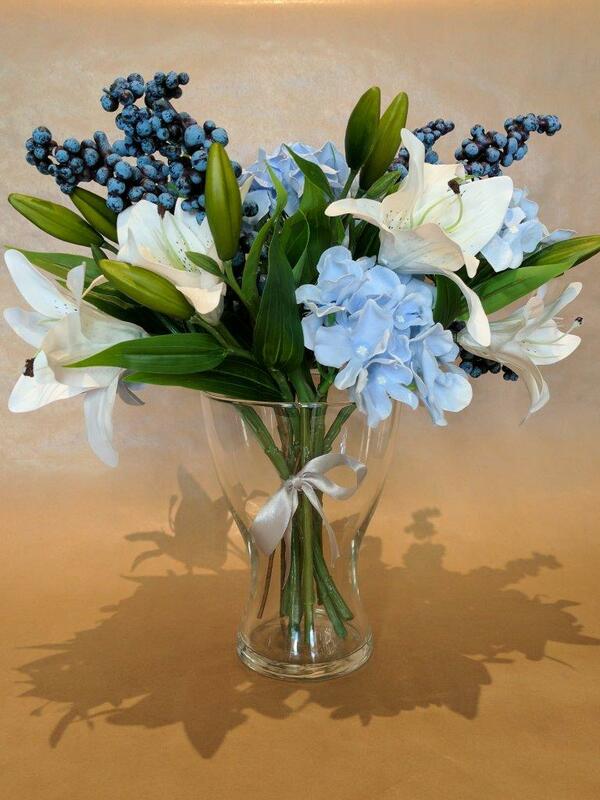 This stunning bouquet makes a bright and calm centerpiece.